WOW! 3 bdrm, 2.5 bath home with JAW DROPPING SUPERSTITION MOUNTAIN VIEWS on 1.25 ACRES, NO HOA and ***NEW ($100K) 40' X 50' RV Garage with 14'x14' doors and 100 amp hook up! 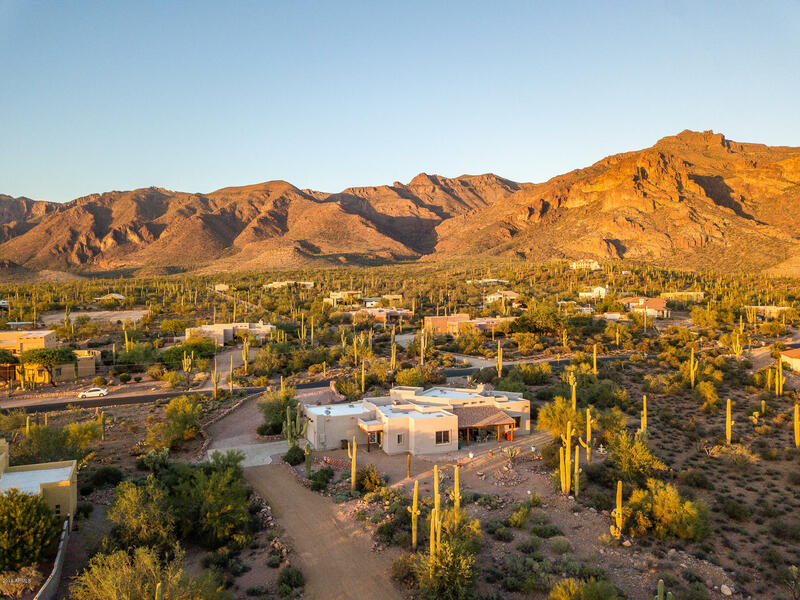 YOU WILL LOVE THIS HOME w/private lot, saguaro cactus, beautiful desert landscape everywhere you look + panoramic mountain & CITY LIGHT VIEWS from almost every window! Relax & enjoy LARGE FRONT & BACK PAVER PATIOS and impressive VEGA POLES and fountain. This is a very comfortable, easy to care for home with 18'' neutral tile flooring throughout & ZERO CARPET! Fantastic GREAT ROOM floor plan with SPLIT BEDROOMS, custom shutters & ***PATIO EXIT FROM EACH BEDROOM too! Efficiently designed with overhangs & large front & back patio to keep direct heat off the home! A Rare find, CALL today!